As all of you know, at Wealth Masters Club we advocate that property is the best investment there is. 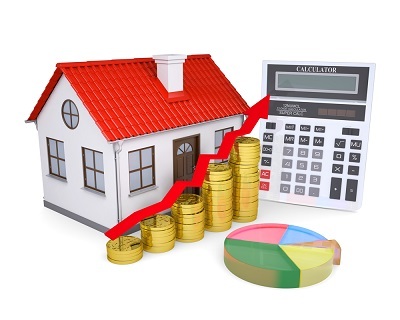 The question is, how would you know which property deal is better than any other investment? How does any of this help you to decide whether it is a good investment or not? This is a calculation of the Gross Rent Amount per Month as a percentage of the selling price of a property. The norm is around 0.8% to 1% and is sometimes used to establish a value or selling price of a property but RVR is not that important as it does not take any costs to the property in account. This is the calculation that will show you whether it is a good investment or not and can be compared to other investments. The Nett Return on Investment (ROI) is calculated by calculating the nett income for the year (Rent less Rates less Levy) as a percentage of the Selling Price. This calculation is much more important than RVR as costs like the Monthly Levy can be very high and can “kill” the deal, even though the RVR is very good. It only takes the direct costs to the property and its income into consideration and not variables and estimates like Maintenance Rate, Vacancy rate, etc. The Nett ROI PA together with the Capital Growth of a property will show what your future returns on this investment will be. We calculate that in our Client Portfolio Planning. This is to show what your return on your physical cash layout for the transaction (the money from your pocket) will be. As you know, most of the times you need to pay a deposit when buying a property and always have to pay Transfer and Bond Registration costs. This is the only investment that you make from your side, the rest comes from the bank, but you get all the income from that property. Therefore, the actual return on your investment, which was only the Deposit and Registration costs, is calculated by calculating the nett income for the year (Rent less Rates less Levy) as a percentage of the cash investment you made. This is where you will see how great the returns on property really is. The RETURN ON CASH together with the Capital Growth of a property will show what your future returns on your cash investment will be. We calculate that in our Client Portfolio Planning. To be put in touch with Destinata Properties, please email services@wealthmastersclub.com.